In this luminous memoir, a true American icon looks back on his celebrated life and career. His body of work is arguable the most morally significant in cinematic history, and the power and influence of that work are indicative of the character of the man behind the many storied roles. 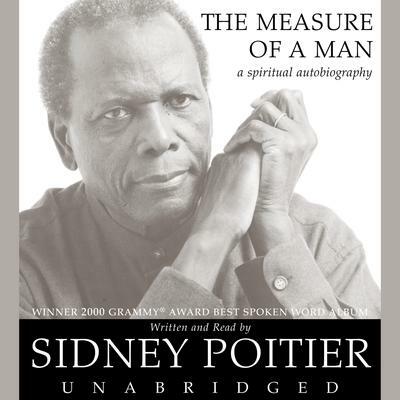 Here, Sidney Poitier explores these elements of character and personal values to take his own measure - as a man, as a husband, and father, and as an actor. Poitier was uncompromising as he pursued a personal and public life that would honor his upbringing and the invaluable legacy of his parents. Committed to the notion that what one does for a living articulates who one is, Poitier played only forceful and affecting characters who said something positive, useful, and lasting about the human condition. Here, finally, is Poitier's own introspective look at what has informed his performances and his life. Poitier explores the nature of sacrifice and commitment, pride and humility, rage and forgiveness, and paying the price for artistic integrity. What emerges is a picture of a man seeking truth, passion, and balance in the face of limits--his own and the world's. A triumph of the spirit, The Measure of a Man captures the essential Poitier.